For the sixth consecutive year, Allied Van Lines reports that Texas enjoyed the highest level of net in-migration in the United States. Especially in Austin, there are a lot of folks who view this as a mixed blessing — the growth, employment, and housing demand that comes with it are great, but it is more and more difficult to preserve the less metropolitan atmosphere that makes Austin Austin. 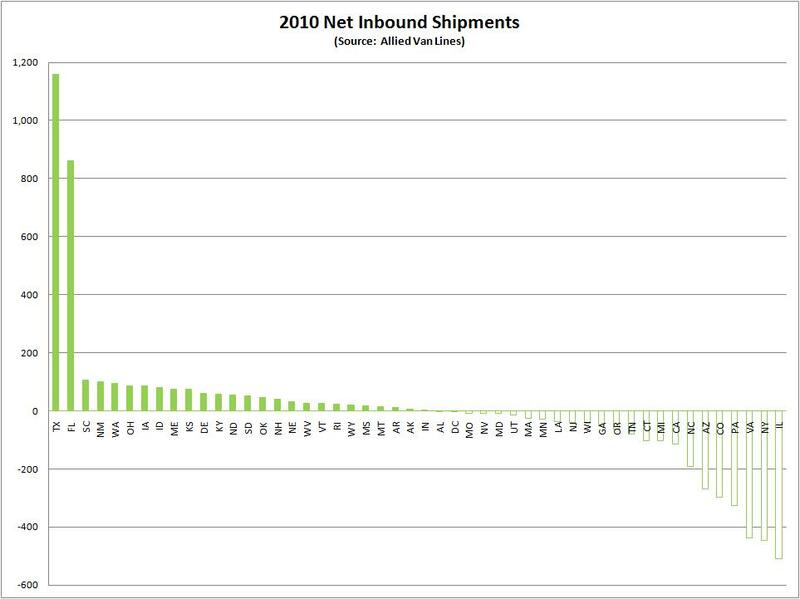 26 states show net-positive shipments on that chart. 24 were negative. On the plus-side, the contrast between Texas and Florida compared with the other growing states is pretty incredible. 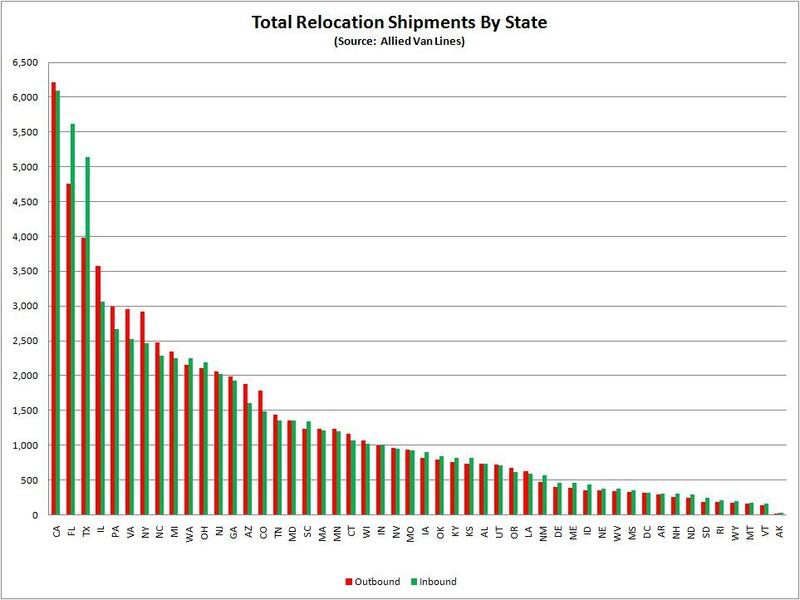 At the other end of that chart, Illinois, New York, Virginia, and Pennsylvania lost relos much more dramatically than the others. The article linked at the beginning of this post mentions Colorado as a “magnet state,” but I don’t see that in this data. For now, I’ll just assume that was a typo. Again, this is the sixth year in a row that Texas has led in this report. I’ll be watching for the same kind of information reported by city and as in the past I expect to see Austin high on the list. This is one of the reasons that Austin and Central Texas has weathered the economic storm so much better than many other places.